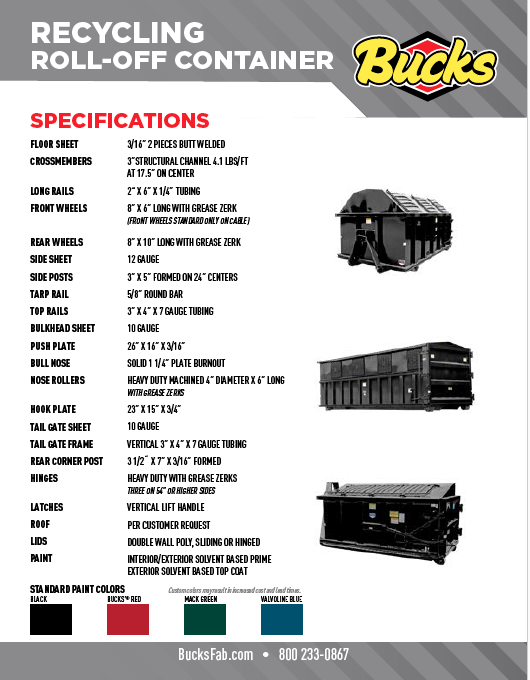 Recyclers are built to customer specifications. Bucks® Fabricating offers a variety of roof types, lid styles and more to help you get the long lasting recycler that will get the job done. Contact us today.